This helpful infographic from HubSpot goes into detail about how people are using their phones and what those statistics mean for us marketers. If you’ve been on Twitter lately, you may have noticed some controversy over Twitter’s decision to adopt a Facebook-like algorithm that curates the most popular tweets and sticks them right in your news feed. In this article, AdAge has all the details on the new feature. Following tests run by brands like T-Mobile and Warner Brothers, the visual social platform announced it was now making 60-second video ads available to advertisers. See some examples in this Social Times post. 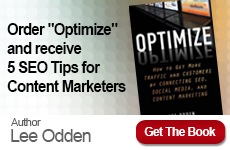 Is Content Marketing a Viable Lead Generation Tactic? Content marketing is only effective when you can provide something of real value to your audience. 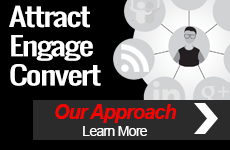 In this post, TopRank Marketing’s Josh Nite details how you can offer your audience not just value, but a compelling value exchange to generate leads. Words. We like them. Words are good things. Words can make people buy our products through changing of their minds, which for revenue is also good. But this is dependent on using the “just right” perfect word for effectiveness. In this article, we explore 5 tools that can help you use words in a way that brings you better results. When it comes to content marketing, should you focus on organic search, social amplification or paid efforts? The short answer is all of these and more. Discover how you can create the best content marketing mix for your business goals.